A vicious cycle often sets in when dog owners get too busy or sedentary, or the weather gets too cold or hot or humid, to make dog walks much fun. Exercise dwindles, and treats compensate. That’s triple trouble for the pup, who puts on pounds that can lead to joint, back and pancreatic problems, as well as discontentment and undesirable behavior. Obie had to wear a support bra of sorts to protect his portly trunk from trundling against the ground. 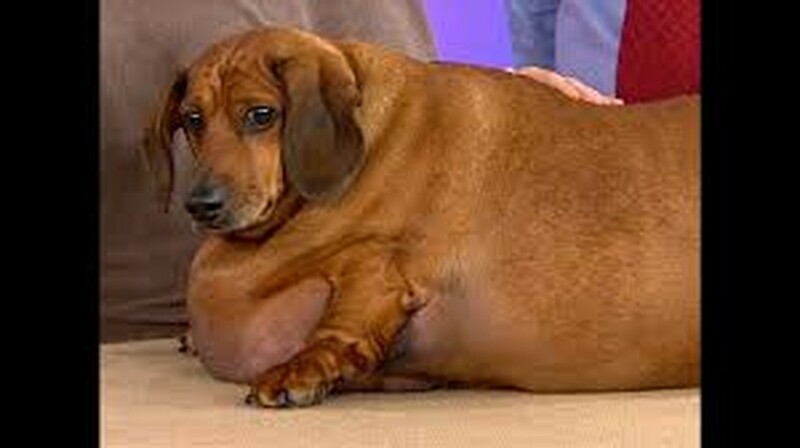 According to the Association for Pet Obesity Prevention, 53 percent of dogs and 58 percent of cats are obese. Regardless of size or age, dogs need exercise daily, some breeds more than others. The arrival of warmer temperatures is a good time to increase a dog’s outdoor activity. But build up gradually, partly because the pads on pups’ paws may be tender after a sedentary winter. To suddenly pound the pavement at length may cause more blisters than a pair of stilettos at the Kentucky Derby. 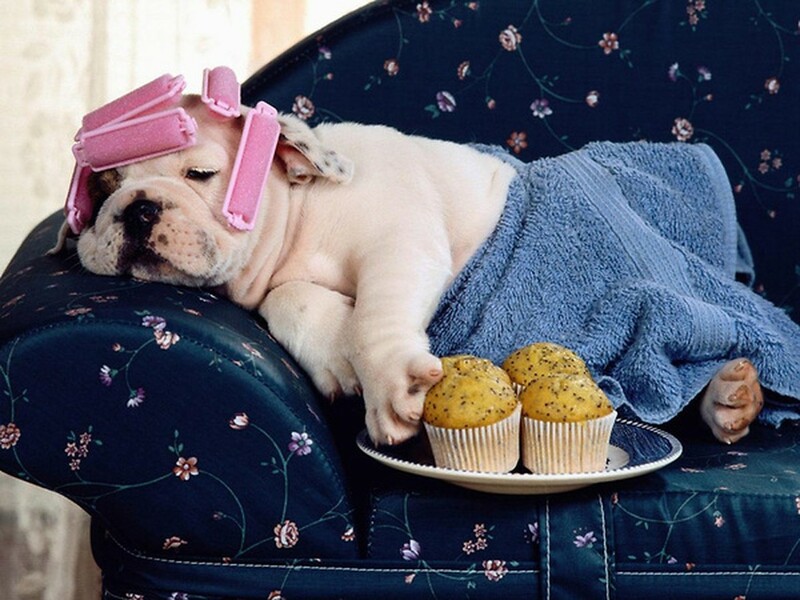 Dogs can become couch potatoes too. Recommended daily amounts of exercise depend on a dog’s age, breed, size and overall health. Generally speaking, a dog should spend between 30 minutes and 2 hours being active every day. 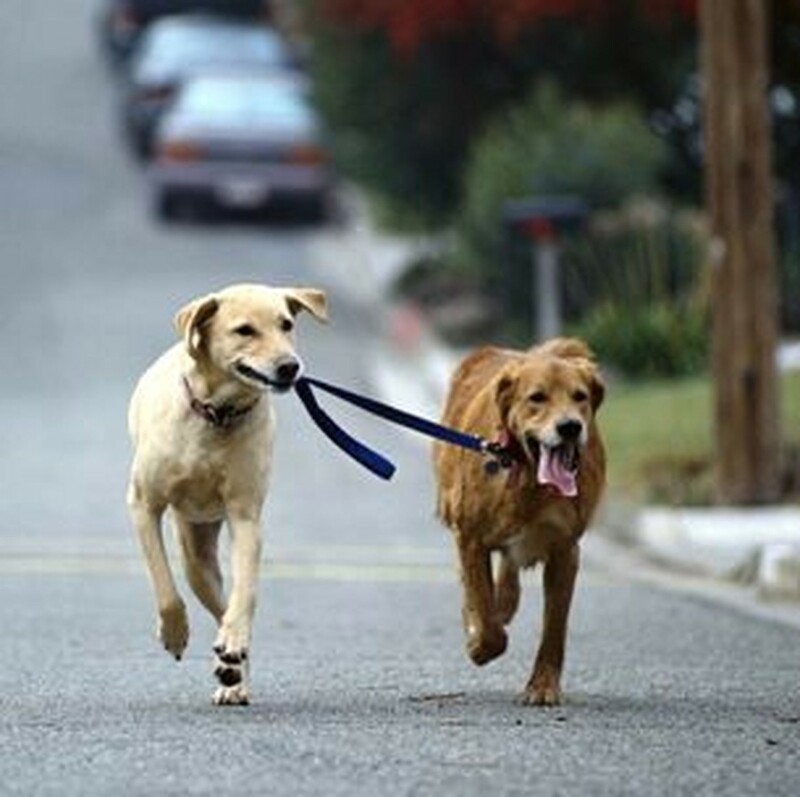 It doesn’t have to be high-speed fetching or the canine equivalent of P90X; walking around the neighborhood is fine. Hunting, working or herding breeds, such as Labrador retrievers, hounds, collies and shepherds, may need an additional 30 minutes of rigorous exercise beyond that baseline. Be careful not to overdo it with dogs who have handicaps such as arthritis, cruciate ligament rupture in the knee joints or hip problems. Swimming can be a low-impact alternative to running. As temperatures climb in summer, overheating a dog becomes as big a concern as underexercising him. Beyond heavy panting, dogs will show other signs that they’re tuckered out. Our Bruno signals he is done fetching by detouring to the concrete and plopping down on a shady spot, ball in mouth, or bypassing us to start toward home. During walks on hot days, bring water for the dog to lap along the way. We used to feed our dog and then take him for a walk that may include vigorous fetching. But we’re considering reversing the order, after reading that exercise with a full stomach may increase the risk of “bloat” or stomach torsion, called GDV, in large or deep chested breeds, such as Great Danes and boxers. As a soft-coated wheaten terrier, our dog doesn’t fall into that category, but neither do I and I still wouldn’t want to go for a run 5 minutes after dinner. Generally speaking, a dog should spend between 30 minutes and 2 hours being active every day. Pay attention to your dog’s other signals. When ours is restless or needs to go out for regular maintenance, he establishes eye contact with us, then nods his head toward the door. Similarly, if he starts stealing our daughter’s stuffed animals to chew on, he is restless. A romp inside or out is a small investment to avoid destruction of personal property — not to mention tummy-tuck surgery. Exercise for your dog can increase in warmer months - but don't overdo it. Food and portion control is the other end of the proverbial leash. Elliot Gordon, owner of American Dog Club, noted that getting dogs off of dry food and on to canned food, which have less food is one first step. His stores carry many canned food options, as well as dry food that is weight conscious. More on dog diets in another post.